EFX switchers help bring effects pedals in and out of your signal chain with the press of a footswitch, or allow you to share effects across multiple instruments. 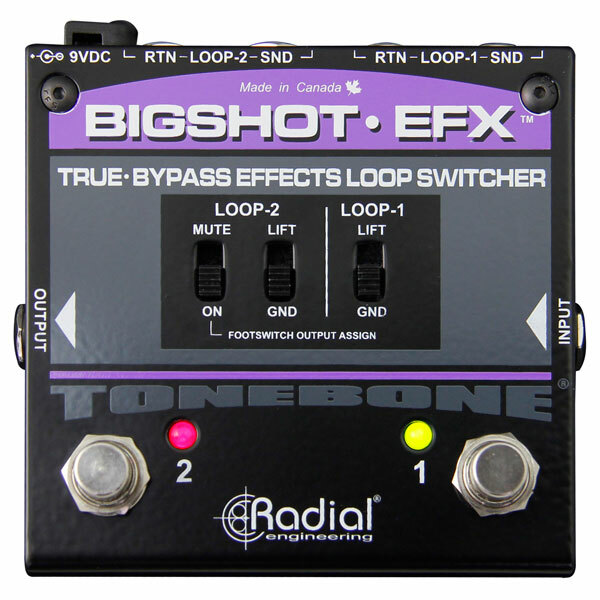 The BigShot EFX is a true-bypass effects loop switcher that lets you set up two separate effects loops and insert them into your pedal chain at will. 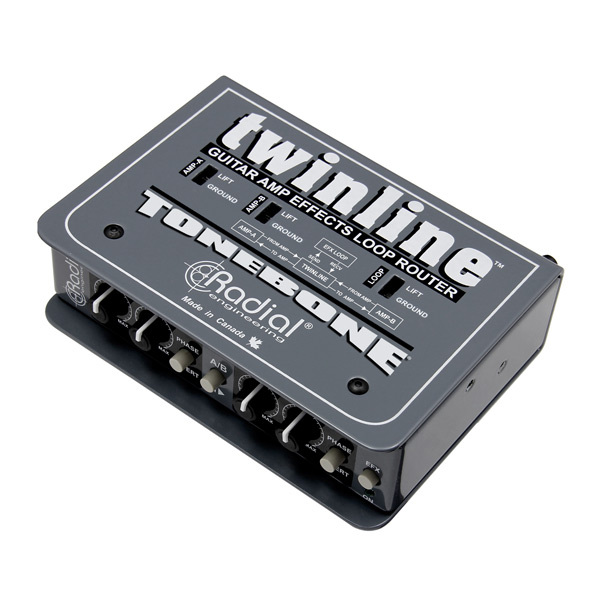 The Radial Twinline is a unique device that enables a guitarist to share effects pedals between two amps when using the amplifiers’ built-in (rear-panel) effects loops. 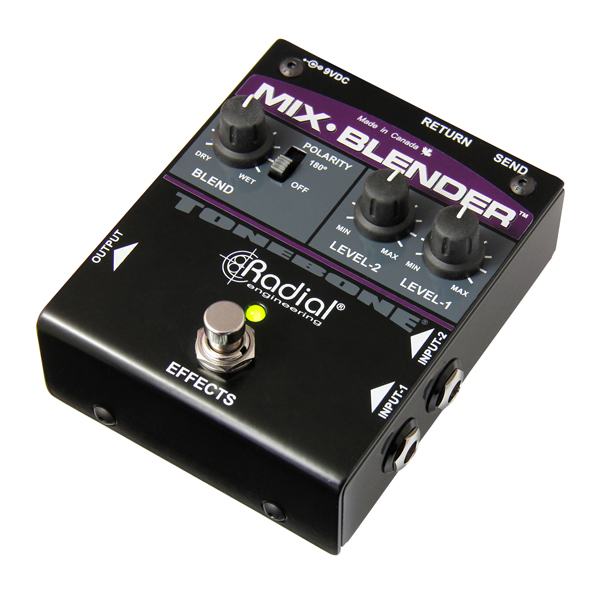 The Mix-Blender is a multi-function pedal that lets you mix two instruments or effects together and then send the combined signal through a mixer-style effects loop for processing. 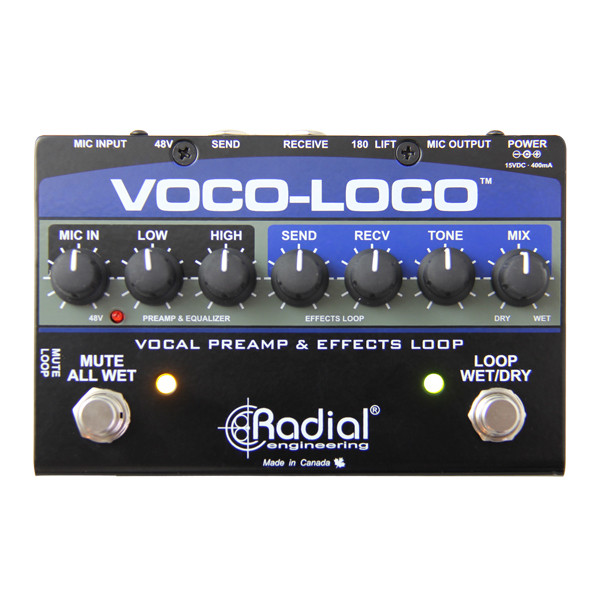 The Voco-Loco is a foot-controlled effects loop that enables the lead vocalist, sax or trumpet player to incorporate guitar effects pedals into the signal path, just like an electric guitarist adds effects for soloing. 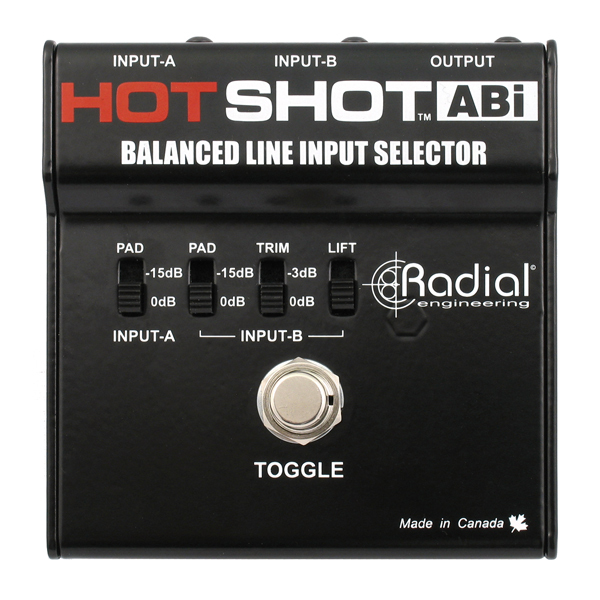 The Radial HotShot ABi is an XLR balanced input selector that can instantly toggle between two input sources to one output via a latching footswitch.